WordPress is near the point of experiencing a major change, with the new Gutenberg editor being built into the platform. This is expected to change the way that content is managed and should also bring new users closer to the platform. The Gutenberg editor also uses the TinyMCE editor, just a little differently or as Mullenweg puts it “A new approach to TinyMCE”. Moving forward Gutenberg will be the default editor used in the backend and its main purpose is to make content management more “manageable”, with regards to design and structuring. 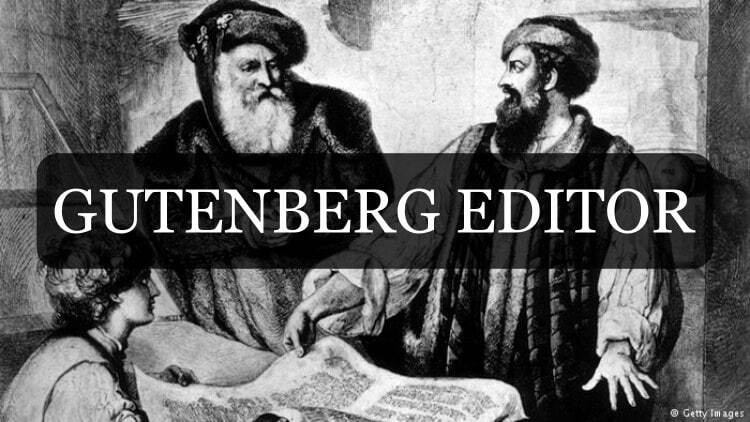 Pros and Cons of Gutenberg. As said previously, there are mixed reviews. This new feature is being celebrated by many but its also not high on the priority list for a lot of WordPress users and developers. Since it changes everything about WordPress and how it is perceived by the internet users in general. The new Gutenberg editor removes a lot of distractions and provides more screen space. Writers will love this especially if they like working in a Medium style experience. It is easier for newbies to start playing with content on WordPress which means it should attract more users, maybe even steal some from other CMSs and website builders. The new editor works great on mobile which improves the portability by making WordPress easily accessible. We can see how this one is good, a lot more people will be making on the go website edits on their smartphone. Gutenberg maintains flexibility by providing the ability for theme and plugin developers to add their own custom blocks. This change puts developers on a spot. They will all have to make their Themes and Plugins fully compatible with Gutenberg, especially if their plugin interfaced with TinyMCE editor. All the updates and changes could cause some to break in the initial stages when the new editor is rolled out as a native feature of WordPress. The new editor is expected to be easy to use for newbies, but we can also see how it could have the opposite effect, even for users who once used TinyMCE editor. A lot of people are worried about the accessibility of Gutenberg, Yoast voiced their concerns in that regard. Using Gutenberg with a screen reader is a post worth checking out for more information on this. Some people are not happy that Gutenberg will not be optional. Once it rolls out as apart of WordPress 5.0 we will all need to adapt and make use of all the great features. There is, however, a free plugin, Classic Editor that allows users to use the old TinyMCE editor. For WordPress users who want to check out the new editor, you can install it as a plugin from the WordPress Repository or head over to Fronenberg which will provide you with a front-end demo of how the editor works. Try moving a few things around and see how you like it. Personally, I think the new editor is good and could possibly make it a more robust competition for website builders out there. However, if WordPress is competing with website builders (like this) then what is WordPress becoming? These builders have their market share because they allow everyone to be able to create something on the internet which is good. But, I think this could change the way that WordPress is perceived by the internet audience, a perception that could even devalue the platform. I say this because as a WordPress developer I often come across clients who think WordPress is like Wix or some other builder, and after explaining to them how different the two are they are usually more than happy to go with WordPress or even make a switch, this is because they naturally view websites built by builders as websites with lower values. It may become harder to tell the difference to someone who knows nothing about WordPress especially when they view everything that’s going on in the new editor. Despite my feelings, change is necessary, and I will try to embrace it as much as possible and make it apart of my WordPress business, (not that I have a choice anyway) like many others.